Bob Stone of the Dimensional Metrology Standards Consortium will present at the 2017 Quality Information Framework (QIF) Symposium. The 3D Collaboration & Interoperability Congress (3D CIC) and QIF Symposium will be held in Golden, Colorado on October 3-5, 2017. Show some of the software tools available to create object libraries from the QIF XML schemas, and how to use these libraries to map your application’s data into and out of QIF. Demonstrate three open source “Hello World” applications – each with the same functionality, developed in three different programming languages, using object libraries generated by three different software tools. A brief overview of the source code techniques used by each to navigate typical QIF data structures for both producing and consuming QIF documents will be presented. Take prospective implementers well along the QIF learning curve, with information about available resources, where to find them, and how to use them. 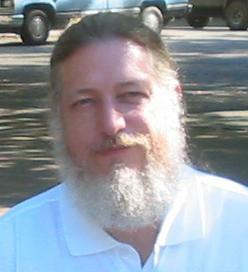 Bob Stone is a software developer with Origin International Inc. He has 30 years of experience in metrology and associated software development. He started his career at a small R&D company developing a novel non-contact paint thickness measurement device employing X-ray fluorescence and gamma ray backscattering. During this time he also collaborated with the SoftFit fixtureless manual CMM measurement of sheet metal parts project in conjunction with GM Canada developing alignment and fitting algorithms. Bob’s association with Origin began in 1992. In addition to porting SoftFit’s fitting technology to Origin’s CheckMate offline programming, reporting and analysis software, he has added graphical reporting, statistical, and point cloud metrology capabilities to CheckMate. Bob began work in metrology standards development with the Dimensional Measuring Interface Standard (DMIS) version 4.0, released in 2001. He is one of the primary authors of the Quality Information Framework (QIF), having been involved with that standard since its inception. As a member of the Dimensional Metrology Standards Consortium (DMSC), Bob chairs the QIF Execution Working Group, charged with the task of maintaining and enhancing DMIS, and transferring the measurement program execution functionality of DMIS into the QIF XML-based data model. Bob received his B.Sc. in Physics from the University of Guelph.